Floor sanding Brisbane suburbs is very popular. With our floor sanding and timber polishing company Enviro Floors we specialize in floor sanding by using non-toxic floor coatings which form healther living homes. Enviro Floors is committed to creating healthy living environments when floor sanding by using natural sustainable timber floor coatings. Enviro Floors floor sanding specialize in using non-toxic products to protect you and your home whilst also reducing global warming. No matter what your lifestyle is our non-toxic floor coatings provide timeless beauty over the years, enhancing the décor of any room by adding value and comfort to your timber floors. Also Enviro floor sanding and polishing company offers the warmth, beauty to your home. Timber floors are ecologically friendly, affordable and easy to maintain. 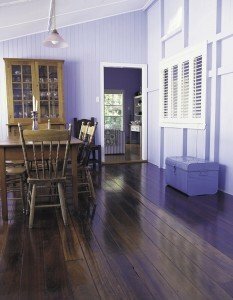 Today, there are more styles, colours and species of timber flooring in Brisbane more than ever before. Call us to re-sand your house with Brisbane’s non-toxic timber floor coatings and you can stay in your house and walk on the floor in 4 to 5 hours in between coats so no hotel bills to pay. The healthy environmentally friendly low VOC (Volatile Organic Compounds) coatings we use allows you to sleep in the home and at the same time as the floor sanding and polishing is being carried out without having to incurring costly overnight stays. 7 Reasons to use Enviro Floors……. Save $$$$$$$ on removalists and storage. Small jobs are completed in 1 ½ days. Medium jobs are completed in 2 ½ Days. Large houses can be done in two parts by putting furniture into other rooms that will be done in the next stage or do the whole house in 3 ½ days. Stay at home with no need for expensive hotel costs for up to three nights or more of accommodation & meals. No moving out saving you $400 – $600 in accommodation and meals. Our state of the art floor sanding machines use highly efficient dust extraction systems meaning that the dust will not spread all over the walls in your lovely home. “Like we keep hearing about other floor sanders spreading dust all throughout there customers HOMES”. Only our skilled professional tradesmen will working on your job with a qualified trained apprentice. The non-toxic coatings we use will lasta very long time in commercial and domestic situations. We can re-coat your floors as well so you won’t have to resand them for at least 30years or more saving you $$$$$ & Time. Why would you use a coating that gives you no Warranty when ours will give 5 years or more. After the last coat of non-toxic polyurethane has been applied to your floor it takes about 4-5 hours to dry (longer in rainy & cold days) so then you can walk on your floor in socks or bare feet. There’s no need to move out of your home in order to sleep safely. Your furniture can be moved back within 24 to 48 hours. Using solvent based coatings means that you can’t safely stay or move back into your house for 5 days! By using high solvent based coatings like fast dry sealers, one pack polyurethanes, two pack polyurethanes and also tung oil, have a hazard potential of: Sleeping problems, Loss of appetite, Chronic fatigue, Miscarriage risks, Infertility risk, Mood swings, Short term memory loss, Irritability and hostility, Asthma, Insomnia, Lack of concentration, Painters disease. Solvent induced neurotoxicity: Some symptoms are Fatigue, Irritability, Mood swings, Impaired brain functioning, Memory, Concentration, and Coordination difficulties and their ability to learn new material will be damaged. Enviro Floors only uses non-toxic coatings giving you peace of mind that you are helping you and your family to live longer and enjoy life without being around “Out Gassing” of toxic coatings. NB: Out Gassing from paint and floor coating solvents can continue for up to 8-10 years. THE NON-TOXIC ALTERNATIVE (TVOC) Use non-toxic coatings in your home will help to protect your family and the coatings we use are long term. To have Enviro Floors to sand and polish your timber floors, call us in Australia on (07) 3293 1611 & outside Australia +61 7 3293 1611. Feel free to contact us during business hours, if you have any questions. Enviro Floors is Brisbane based, we specialize in timber flooring service’s such as Floor Sanding, Polished Floors, Timber Floors, Sports Floors, Line Marking, Floor Maintenance Products and more. We are committed in protecting the environment, Sustainability and global warming, in particular the creation of healthier living environments with using non-toxic products in Brisbane Queensland Australia and with our high performance timber floor coatings they get applied to all our timber floor surfaces. Enviro Floors Company is a nationally recognized leader in solving domestic, commercial & industrial timber floor problems in Brisbane Queensland Australia with Floor Sanding, Polished Floors, Timber Floors, Sports Floors, Line Marking, Floor Maintenance Products. Since 1976, we have manufactured and installed well over Thousand’s square meters of floors throughout Australia. The majority of our customers are repeated customers who know they can trust Enviro Floors to provide the highest-quality materials. In other words, real solutions to their floor problems. They also know that all products are backed by a warranty that assures complete satisfaction. Enviro Floors sales team is not just there to sell product, they are highly trained professionals, skilled in diagnosing floor problems and recommending the right solutions. As your floor consultant, your Enviro Floors salesperson will provide you with technical information, answer your questions and ensure your complete satisfaction with each project. The members of Enviro Floors sales staff have years of experience in industrial, commercial, domestic floor consulting. Assuring you of the right solution for your floor application with these products Floor Sanding, Polished Floors, Timber Floors, Sports Floors, Line Marking, Floor Maintenance Products & many more. At Enviro Floors, we’re committed to the highest standards in everything we do. From the development and manufacture of our flooring products to our consultation and customer service, we always strive for excellence.